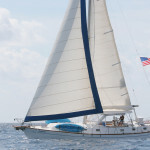 Sopris Sailing ChartersSopris Charters - Caribbean Sailing BlogWhy Is It a Good Idea to Choose Virgin Islands Sailing Charters? Posted on September 23, 2013 · Why Is It a Good Idea to Choose Virgin Islands Sailing Charters? In the Virgin Islands, sailing charters have become very competitive in recent years. As a result, people visiting this area with the hope of a memorable vacation have been able to receive far more benefits and work with truly professional charters who strive to be the best at what they do. When visiting the Virgin Islands, sailing and any of the activities and charter services you might enjoy all blend in a surreal way with the pristine appearance of the calming and unique, natural beauty of the islands themselves. Virgin Islands sailing charters make it possible to experience both the luxurious atmosphere of Caribbean resorts where you can relax and enjoy impeccable services and the adventurous exploration of places that are not easy to access on a regular cruise. While on your trip, you can enjoy scrumptious dishes for every meal of the day, as well as open bars, and a night of peace and quiet at Virgin Islands resorts. You can visit places such as Leinster Bay where you will be able to experience snorkeling like nowhere else in the world and explore the unique underwater environment of Watermelon Cay. Those interested in variety can choose between activities as diverse as diving, horseback riding, swimming, hiking and much more. While you can find anything you can possibly imagine on your trip to the Virgin Islands, it is also important to pay attention to the services you end up choosing. Charter companies in particular have very diverse policies not only in term of pricing, but also when it comes to the specific requests of their clients or the “flexibility” they can provide you with if you want a more special itinerary for your Virgin Islands vacation. Whether you’re interested in crewed or bareboat sailing, Sopris Charters is one of the few companies offering anything from short overnight trips to week long sailing vacations in the Virgin Islands, while accommodating any special needs that clients may have with regards to the available services, the boats used or any details related to the chosen destinations. With Sopris’ Virgin Islands sailing charters, the people in charge of taking care of anything from the food to all the details involving the structural integrity of the boat are highly trained professionals paid to make sure you have a truly great time.